The remote shutter release I ordered last week finally arrived, and my son had fun taking pictures using it. 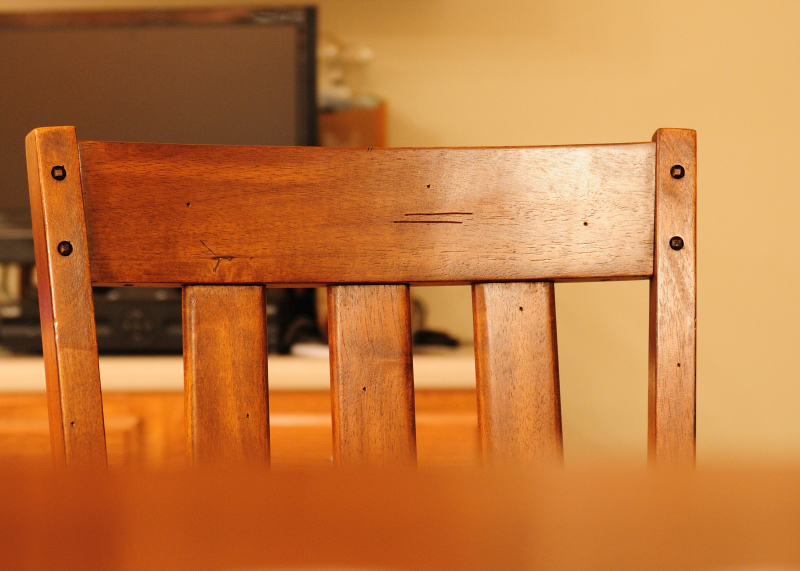 I didn't even get a chance to use it - he hogged that remote for 30 minutes to take pictures of the kitchen chair. Oh, for those interested, I bought the remote from ebay seller, DelightDigi, product is Wireless Remote R6F for Nikon D200 D300 D700 D3 D2x D1x. Far less expensive than Nikon's ML-3, and works great. Thanks so much for this information! I just ordered one! I had been thinking about how much I miss the remote, not ten minutes before reading your comment. And I love the 300s! I'm harassing everyone in sight for chances to photograph them.